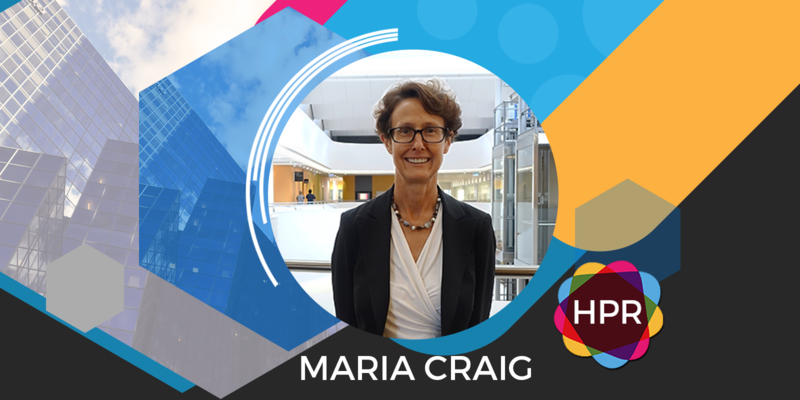 Guest Bio: Dr. Maria Craig is a professor of paediatric endocrinology at The Children’s Hospital at Westmead. She is a clinician researcher and her major research interests are the epidemiology and aetiology of childhood diabetes and its complications. She is internationally recognised as a leader in diabetes epidemiology, evidence based medicine and clinical guidelines. Her research interests include the epidemiology of childhood diabetes (type 1, type 2, cystic fibrosis related diabetes and monogenic diabetes) and diabetes complications, in collaboration with Professor Kim Donaghue at the Children’s Hospital at Westmead. Segment Overview: In today’s interview, Dr. Craig discusses about Freestyle Libre Flash Glucose Monitoring System, the revolutionary new way of checking a diabetic’s glucose levels. It can liberated children from the pain of routine finger pricks. She also talks about the increasing number of children developing diabetes and how diabetic children can manage their condition with the help of their parents. Tabetha Moreto: Hello everyone, welcome to Health Professional Radio. I’m your host for today Tabetha Moreto. Our guest today is Dr. Maria Craig from the Children’s Hospital at Westmead. Today, we’re going to talk about Freestyle Libre Flash Glucose Monitoring System which has received TGA acceptance of an expanded indication to children and teenagers with diabetes. Without further ado, welcome to the show Maria. It’s very nice to have you here. Dr. Maria Craig: Thank you for having me. T: Yes, it’s my pleasure. Maria, please tell the audience more about yourself in the nature of your work. C: So I’m a Pediatric Endocrinologist and a Children’s Diabetes Specialist in Sydney and I look after many hundreds of children with type 1 diabetes. And as part of their care up until recently, the way they manage their diabetes was to prick their fingers for six or more times a day, as well as taking insulin shots. But with the new Flash Libre Meter these children now can have a well-earned rest from pricking their fingers all the time. It’s fantastic. T: Yes it is. Actually, Maria I did an interview back in August with Dr. Mahmoud Kazemi. We actually talked about this FreeStyle Libre Glucose System. And he also just like what you mentioned earlier, explained how this has revolutionized the care and management when it comes to patients with diabetes and it looks like for children now, they can also benefit from this wonderful system. C: Yes, it’s fantastic. We’ve been waiting with bated breath for this to come out for children. It is now a reality for them. T: Yes. Absolutely, because I know my mother herself was a diabetic and I remember I was the one who had to prick her fingers every day and she hated that whole process. She would sometimes tell me, “Can you not do it right now please? My finger hurts.” And I know that’s even worse for children, because as we know children’s tolerance to pain could be not as great when it comes to adults. But luckily with this new system it can be very painless for them and I understand how this can revolutionize the care of diabetic children. C: Yes, but I think the other important thing is that in Type 1 diabetes which is an unusual form of diabetes in children as opposed to type 2 and adults, where they don’t necessarily have to check their blood glucose levels as often. Children with diabetes especially young children, you need to be checking quite often especially in the school setting or in a sick or sport. So really, kids have to go through the pain of finger pricked more often than most adults with type 2 diabetes so the impact is huge. T: Yes, that’s right. So can you tell me Maria, why is it that so many children nowadays are being diagnosed with diabetes? Can you explain the causes of this? C: I’d love to be able to. I can completely explain it. We know that there is a genetic predisposition and that there are some patients with a family history but there’s definitely an environmental trigger for the disease and we think that’s probably a virus that can occur early in life or during childhood or even later for people who get Type 1 as adult. But we’ve certainly seen in the last 20 years a significant increase in the rates of diabetes. So it has become a more and more common condition, this is with Type 1, as well as Type 2 obviously. T: I see. So how about the care or treating diabetes? Is the treatment for diabetes with children the same with adults? C: It is. Although, we tend to use insulin pumps more in children. That’s a device that delivers insulin continuously through the skin and that’s because of the fats that the blood glucose levels can be much more variable in kids and pumps help their control. So in Type 1 Diabetes is not complex to managing children because especially for younger children, they need an adult to be supervising them all the time, both for administering their therapy and also checking the blood glucose level. And that includes overnight and this is why that the Libre Meter is so great because parents can go into the child’s room and check the blood glucose level without actually having to wake the child up and prick their finger anymore. They can just scan against their arm and see what the blood glucose reading is so it’s really a fantastic development. T: Yes it is. I agree with you that this FreeStyle Libre System is revolutionary because you don’t have to prick your fingers anymore and especially for children, as we mentioned earlier, that I’m sure children don’t like having their fingers pricked six or seven times a day. And also this is good for the parents as well, it makes it easier for them to check the glucose level of their children. T: Okay. So now let’s talk about diabetes care and management. What advice you can give to parents and even children out there regarding proper diabetes care and management for them? C: Well the vast majority of children with diabetes will see a diabetes specialist such as myself, as well as a nurse educator and a dietician or they’ll see a general pediatrician who manages children with diabetes. And really the important thing with diabetes care is being managed by a multidisciplinary team that includes the doctor and the nurse and the dietician, often it’s a psychologist as well. That in terms of their day-to-day management, the important thing is following a healthy diet, getting lots of exercise, the same recommendations that we make for people without diabetes, leading a healthy lifestyle. But the more complex issues with people with type 1 diabetes is the need to make sure their blood glucose levels remain in as close to the normal range as they can. And this is where devices like the Meter can help because you’re getting sucked, so much more information, 24 hours a day than it used to with just doing four or six finger pricks a day. T: Yes, that’s right. That’s a good thing about this FreeStyle Libre System, it’s because it has revolutionized the way that people can check their diabetes. Now Doctor, let’s go to misconceptions. Are there any misconceptions regarding childhood diabetes that you want to clear up on the show today? C: Well that’s fantastic to have that opportunity. I can tell you certainly that a lot of people get Type 1 and Type 2 mixed up. And people who get Type 1 diabetes do not get it because of what they’ve eaten, because they’ve eaten too much sugar or because of their lifestyle. It is something that comes out of the blue. It’s completely random. It’s not the fault of the child or their parents, as I said it’s usually a virus that’s triggered the process. And so I think the major misconception is the fact that it’s a condition that we’re not at the point of being able to prevent or cure and it’s lifelong and it is a very serious disease and it’s not a condition that can be managed just by watching your diet. I think that’s a major misconception and the thing that really frustrates people with type 1 diabetes and their families, it’s understanding how different type 1 and type 2 are. T: Yes, thank you so much for clearing up those misconceptions. That’s true because a lot of people believe that diabetes is developed because someone eats too much sugar or it’s because of the lack of exercise or sometimes people believe that it’s automatically because of their lifestyle but like what you mentioned earlier that some people have a predisposition to this type of disease especially children. So we cannot blame children for developing this type of disorder or developing diabetes. C: Absolutely. That’s totally correct. T: So before we go Doctor. What is your main takeaway message to all of our listeners out there? C: I think the main takeaway message is that it’s fantastic news there are now more options for monitoring blood glucose levels for children with Type 1 Diabetes in Australia. And I think that’s fantastic that there are more options available, including the FreeStyle Libre Meter. T: Absolutely. This is something that every person with diabetes should get. I really recommend this. I hope everyone listening right now would get this system. All right, so before we go Doctor, I want to ask you a personal question if you don’t mind. Why are you so passionate about helping children with diabetes? C: Because it is a serious chronic lifelong condition. I spend more than half my time doing research trying to understand the cause and working towards preventing the disease. It is a real enigma. And it has such a major impact on people’s lives and I believe that working both in research and as a specialist looking after children’s diabetes, I hope that I can make a difference. T: That’s wonderful. Thank you so much. Now for those who want to contact the Children’s Hospital, how they can get in touch with you? C: Through the Children’s Hospital in Sydney and there is a website as well www.chw.edu.au. T: All right, that’s wonderful. One more question Doctor for people who are interested in the FreeStyle Libre Flash Glucose Monitoring System, how can they get more information about it? C: So through the Abbott Diabetes Care website. There’s a very good website that provides very comprehensive information. T: That’s wonderful. Thank you so much Doctor for coming on the show today. I really appreciate it. C: My pleasure. Thank you. T: And that was Dr. Maria Craig from the Children’s Hospital at Westmead. We’ve just been talking about the FreeStyle Libre Flash Glucose monitoring system and now it’s available for children with diabetes to use. They can now check their glucose levels without pricking their fingers anymore. If you liked this interview transcripts and archives are available at www.hpr.fm. We are on all social media platforms, so don’t forget to follow, like and subscribe. We’re also available for download on SoundCloud and iTunes. I’m Tabetha Moreto and you’re listening to Health Professional Radio.